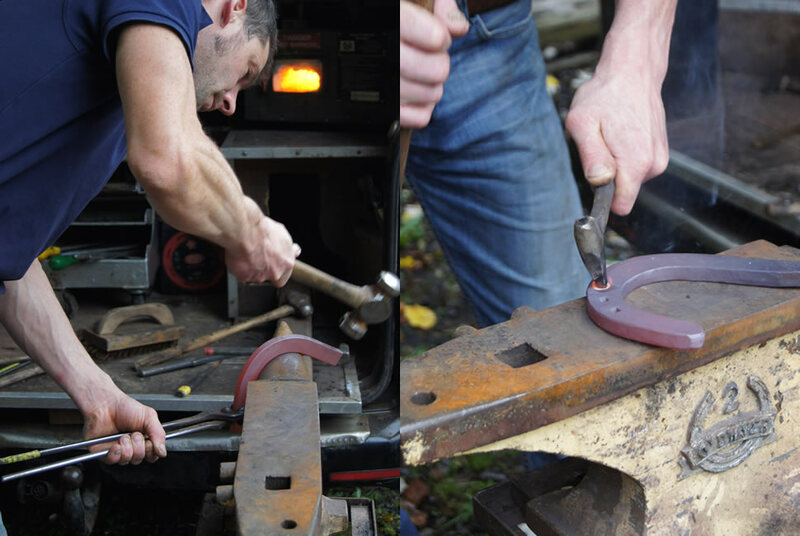 Horse shoes are still handmade exactly the same way they have been for generations. These copper horseshoes were used on all pit ponies in the tin, copper and arsenic mines. The steel shoes would strike against the rocks causing sparks and an explosion due to the volatile gases. Copper did not cause sparks and was essential in getting the ore to the surface. Below is a brief description of how I make these shoes. All the forging is done by eye and experience. A cocktail of science, art and love! 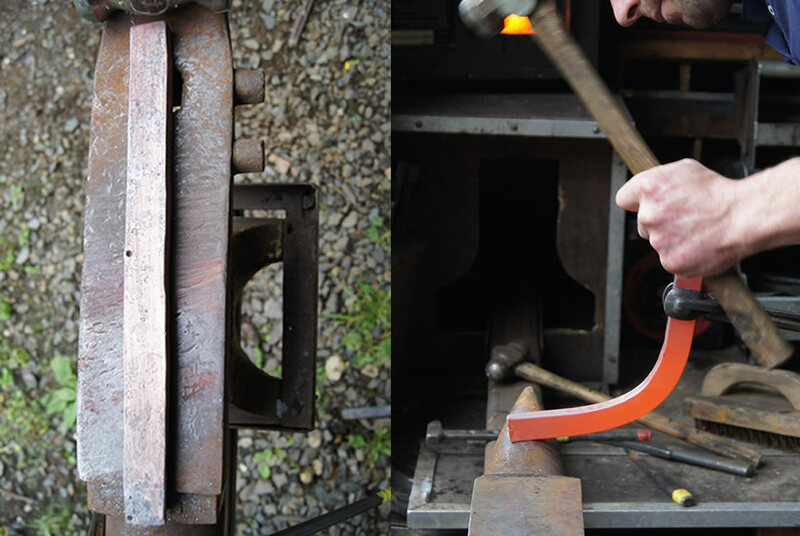 The shoe begins a straight piece of copper bar. These shoes range from 7 to 14 inches of inch by half straight bar. The bar is heated in a gas or coke fire until it is bright orange. The middle section is then bent with a hammer over the anvil to about 120 degrees. One side of the shoe is then "turned" over the round half of the anvil to the required shape. Depending on the style of shoe the fullering (groove) is hammered in using a sharp chisel like tool. The nail holes are then stamped with a rectangular punch into the shoe. The same procedure is then done to the opposing side. The toe clip (the pointed protrusion on the back of the shoe in the centre) is then "drawn" out with very precise and careful hammer blows. 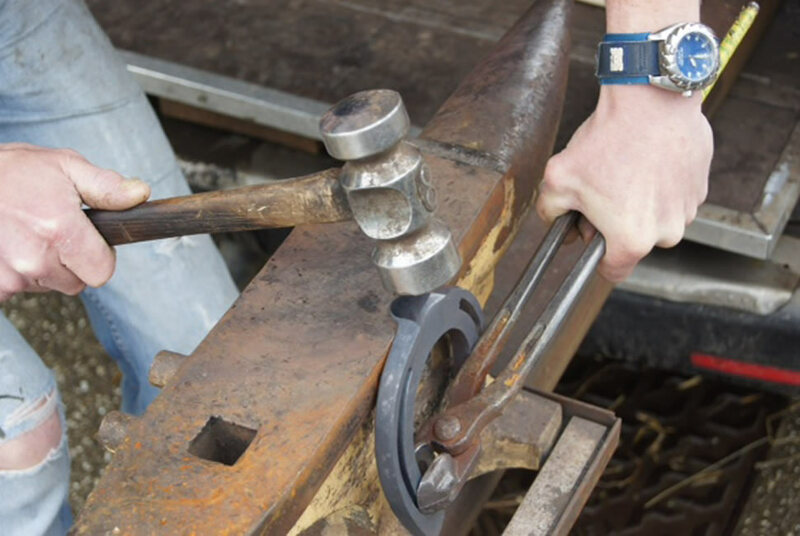 The shoe is then checked and altered if need be for shape then levelled and evened out with the hammer. The shoe is then hot rasped and filed to a smooth finish then the polishing process begins. The shoe is polished on a polishing machine to within an inch of it's life using special soap and cloth wheels until it is a brilliant shine. 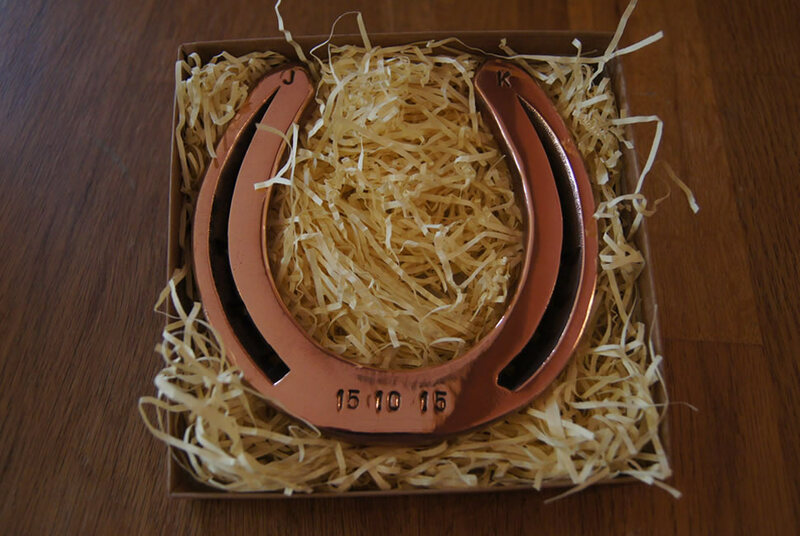 Each shoe arrives in a rustic box and all shoes can have a date and two initials stamped on it. Please contact me for more information.